Nature inspires everyone, but which scene is really your type of inspiration? Sea, Mountains, Jungle, Desert, River, panoramic landscpaes, rocks, water falls...? mine is definitely Mountains. Iran has all the above attractions for tourists. Deserts in central areas, sea and Ocean in North and South, mountains and high altitudes in north and south west parts etc. Shemshak is a famous ski resort located in the north east of Tehran city in the Alborz mountains. It's the second largest ski area in Iran after Dizin and even according to professional ski fans in Iran, more exciting than Dizin regarding its field shape. It includes two ski lifts, three dish teleskis and two Hammer teleskis. 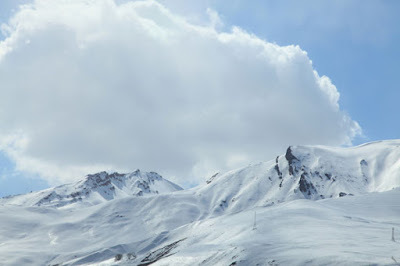 The slopes lie at an altitude of 2550m to 3050m above sea level, high enough to be able to Ski for almost 6 months a year. The resort includes two main slopes each with a chair lift that apex at the top and several lifts. There are also lighting facilities for night skiing. 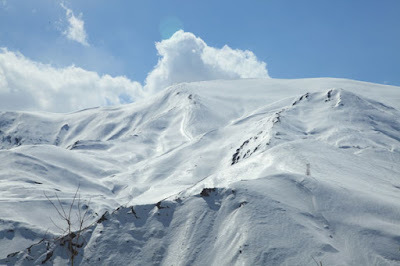 Shemshak has classically catered to more advanced skiers while Dizin has drawn beginner, intermediate and advanced skiers. The slopes are quite steep and many of the runs are mogul runs. 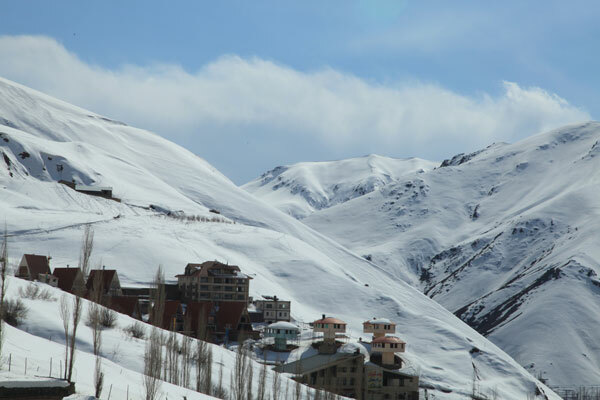 the resort is about 1 hour drive from Tehran, 10 km from middle-slope parking of Dizin and 5 km from Darband-Sar ski resort. in the way to the resort from Tehran, there are many restaurants with Persian and European meals which themselves attract many tourists from Tehran. Also take a look at this page for weather forecast, map overlay etc. all the pictures in this blog post are taken by Hassan Abbasnejad.